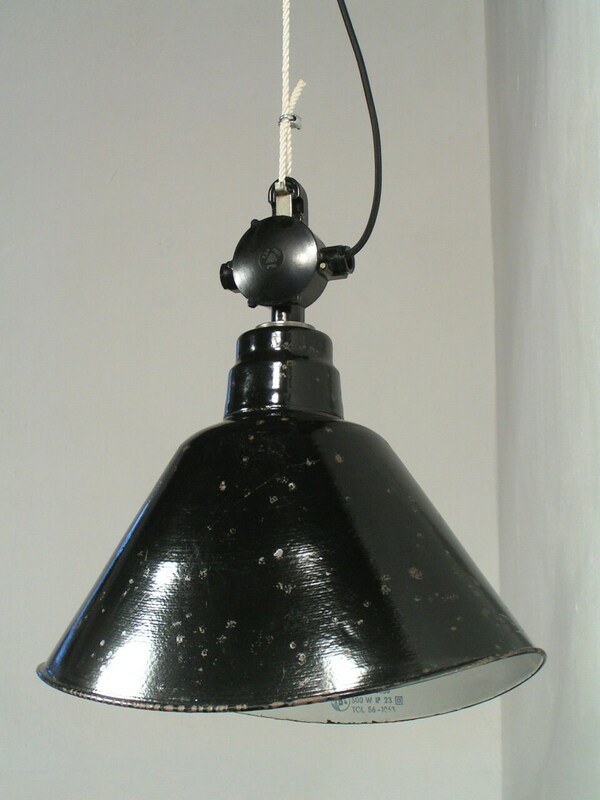 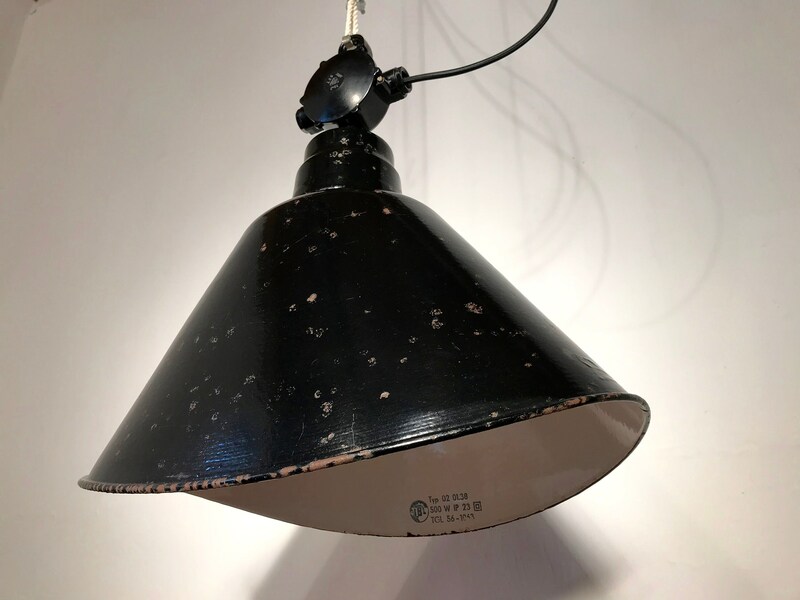 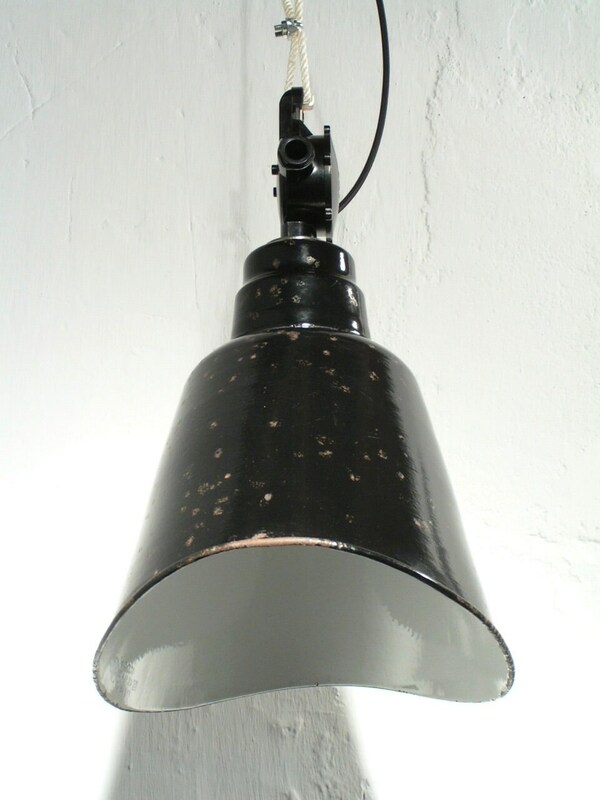 This factory lamp is a real eye-catcher. 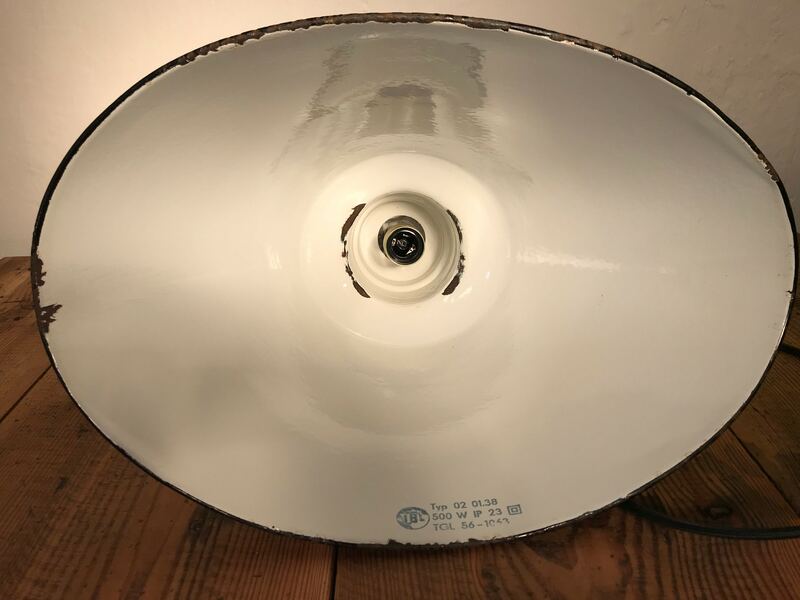 The enamelled reflector has a rare oval shape that scatters the light into the width. 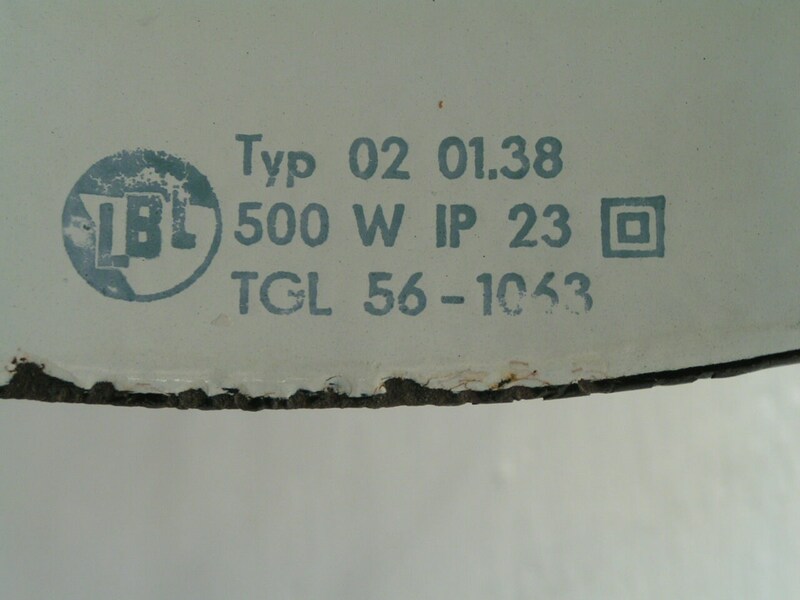 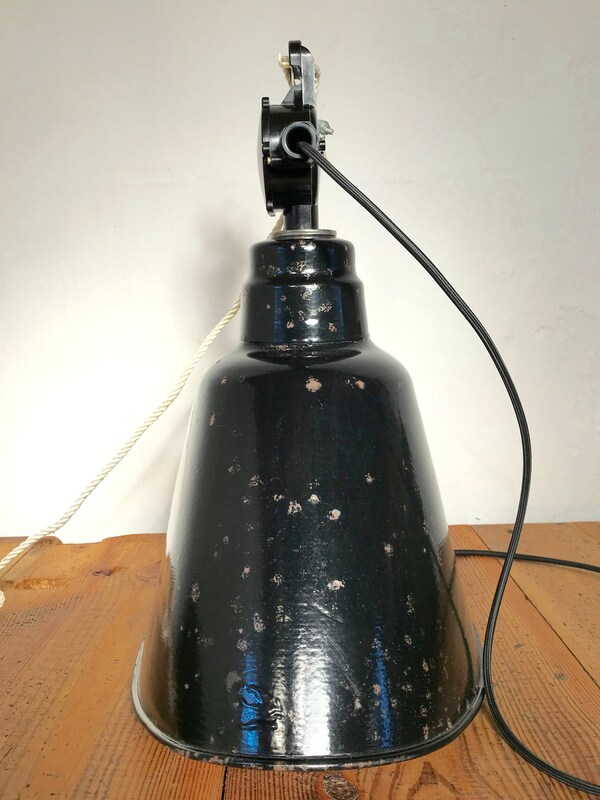 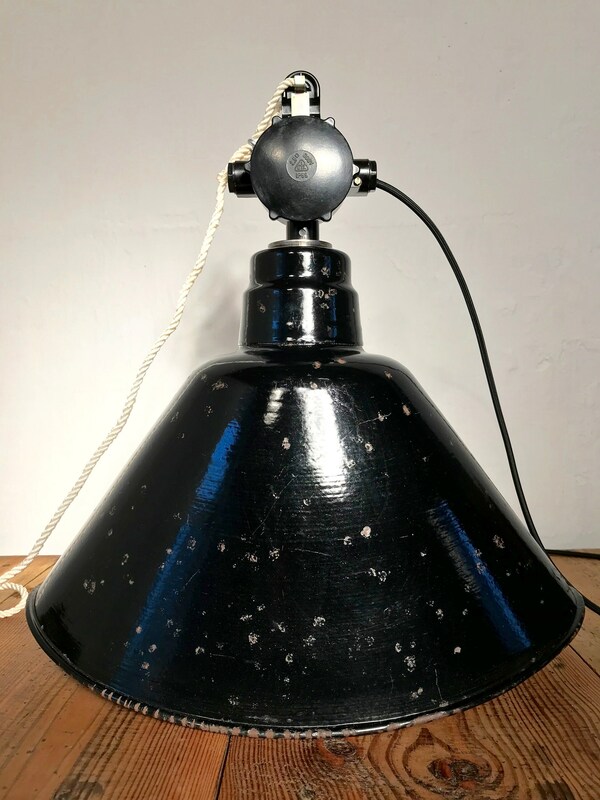 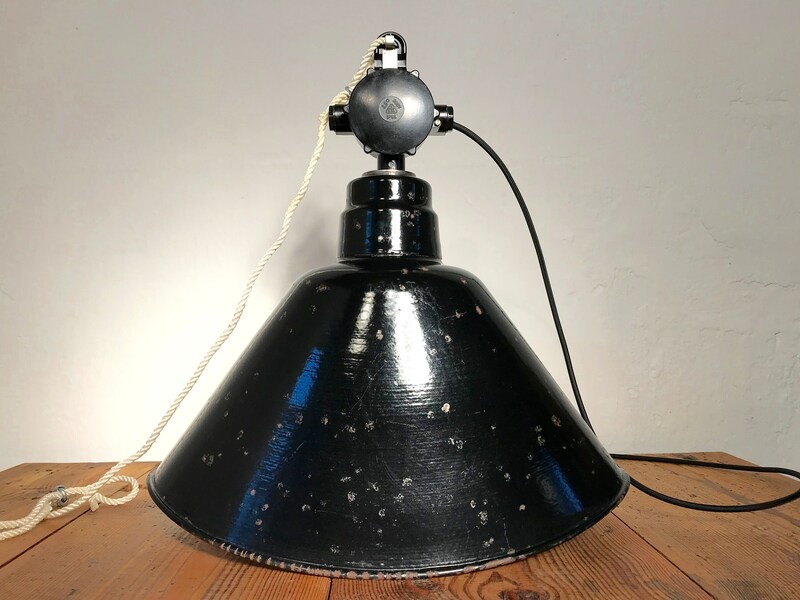 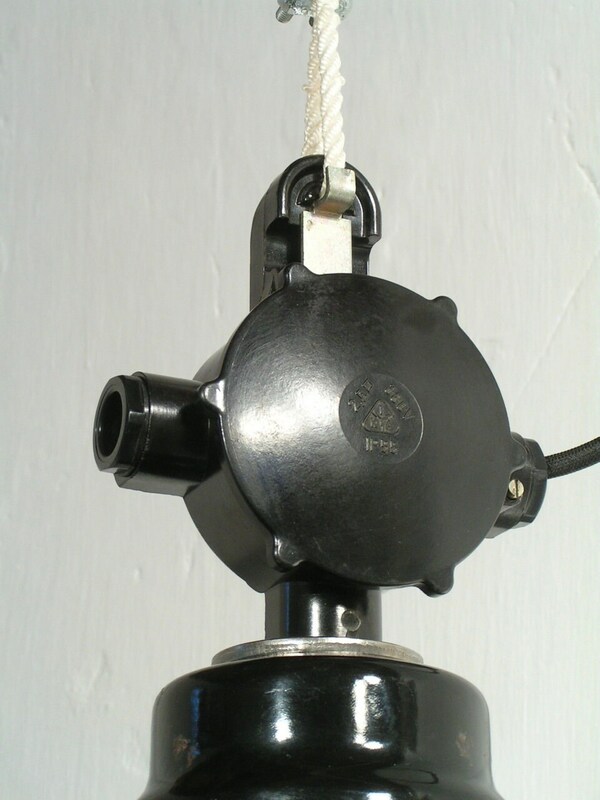 On the inside of the lamp is a chic blue stamp from the manufacturer LBL (Leuchtenbau Leipzig). 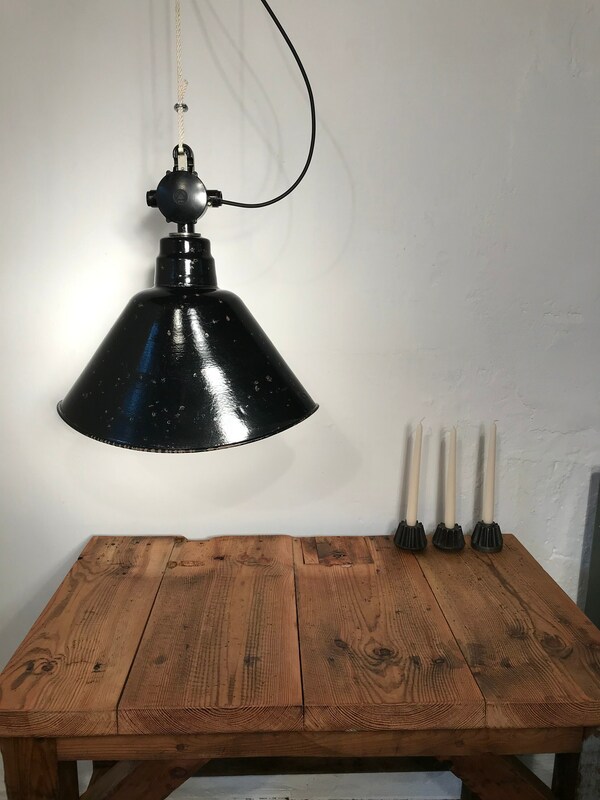 The lights are great for lighting a bar, shop counter or work surface in the kitchen or workshop, for example.